The Complete Bike Book would be perfect for my DH. I would get the motorcycle one for my hubby as a fathers day gift. I would like the Smithsonian Violent Earth. Looks cool! I would like the Smithsonian Museum book. Carrying on with the photography theme, I’d be really interested in ‘Digital Photography Through the Year’. I would like to see the “Do It Yourself” book – it looks like someone could pick it up and learn somethng. I would like to read “Baby Massage”. It would be a nice bonding moment with the baby as well as relaxing for them. ROUGH GUIDE SURVIVING THE END OF THE WORLD. ROUGH GUIDE NEW ENGLAND 6E. There is too many good ones to pick just one. Visited DK Canada Dads Rock Boutique and another book I would like to give as a gift is “Motorcycle”. Hello. I would probably get Star Wars Year By Year. Husband and son love Star Wars. I would like the Motorcycle book as a gift for my husband. Canadian Know-How, Step By Step Show How! – this can help with some DIY projects. I’d love to have a copy of the Human Body. 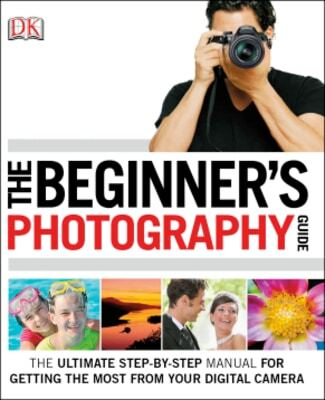 Beginner’s photography guide…………….great prize, so much to learn! Would love to have this one!!! ILLUSTRATED STEP-BY-STEP BAKING. It really does look like a book every beginner baker should have. I’d like to get the Grill It! book for my husband. I would love to give my husband CAR THE DEFINITIVE VISUAL HISTORY!! He would really love it! I would love the book “Woodwork”. I would love the book Where on earth…..
1000 Great Everyday Wines, or Photography Through the Seasons appeal to me.